Our Private Tour of Barrio Gotico and Sagrada Familia from the Outside represents the oportunity that we want to offer to everyone who wants to visit and enjoy the greatest treasures of one of the most beautiful city in the world, Barcelona. 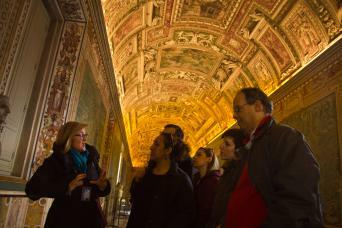 During this tour, you will stop to some of the most famous and suggestive places in the city. You will get a private guide escorting you during the whole tour. The first stop of the tour will be the Sagrada Familia, where your guide will be waiting for you to start this adventure. You will be introduced to the fascinating history of the world’s most famous incomplete monument. By saying “incomplete”, we really mean it! 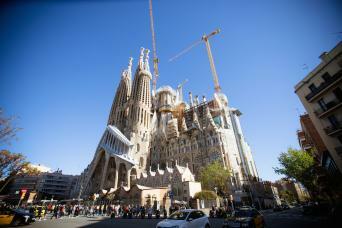 Although dating back in 1882, today the Sagrada Familia is still unfinished. Antoni Gaudì’s devoted his whole life to the project from 1883 till he died in 1926, right in the half way of the construction. This is only one of the many interesting facts about this beautiful work of art. Can you imagine how many things you might know about it? You can ask everything you want to know about the Sagrada Familia and Gaudi. Your guide will be happy to help you discovering all that you need to know about the most famous architectonic work in the whole Catalonia. After visiting one of the most fascinating attractions of Barcelona, you will take the metro for one stop to another historical place, that attracts millions of people from all over the world. We are dealing with Plaza Catalunya, a huge square designed way back in 1859 by Ildefons Cerdà, situated in the center of the city and considered the place where old and modern city meet. Right here you will start your tour around the Gothic Quarter, passing by the gorgeous Passeig the Gracia. It is one of Barcelona’s top business and shopping areas, containing some of the greatest pieces of architecture in town. Two of them are Gaudì’s Casa Batllò and Casa Milà. These former private houses, designed in the early 1900, are now one of the most popular touristic attractions in the world because of their unique facades, patterns and shapes. It is going to be absolutely twisting! 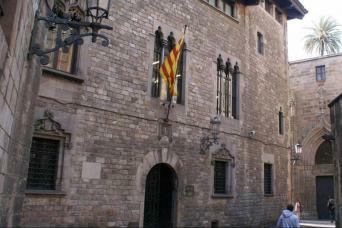 The last stop will be the Gothic Quarter, one of the most suggestive and ancient parts of Barcelona. During the Midlle Ages, public life took place right here and therefore some really imposing Gothic buildings are all over it. The most peculiar thing of this district is that architectonic styles from different ages blend together giving life to an incredibile environment . 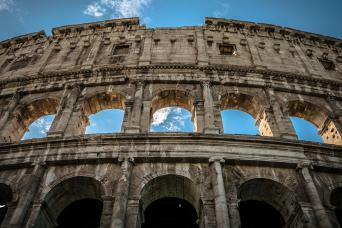 Are you ready to be won over by all the Medieval buildings made upon ancient Roman ruins? It will be stunning! This tour will leave you absolutely enriched and with the memory of an amazing experience to the discovery of the most precious pearls of Barcelona. “A city that enter in your blood and steal your soul” ( Carlos Ruiz Zafòn). If you want to live this incredible experience all you need to do is contact us via email or on the phone. We will be pleased to give you all the details you need to know about our Private Tour of Barrio Gotico and Sagrada Familia from the Outside.